The car club I am in, Pentastar Pride, is having their annual car show in July. The guy that owns the trophy shop that had been making their awards retired and closed up shop. So, someone had the idea to do Parking signs. My wife mentioned that I have plotter, so, I kind of got volunteered. 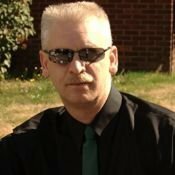 I am doing them in trade for advertising of one of my websites. I had some nice stickers made up that I put on the back that say "This Award Sponsored By (My Website Address)". A couple of the club members are going to come over and help finish getting the vinyl onto the signs. I found the sign blanks on ebay for a really good price. They are 8"x12". The car show is a Mopar Car Show, but they decided to not turn away other makes. There will only be one "Best In Show" and that will go to a Mopar. There will be 20 1st and 2nd Place awards and they will go to Mopars. 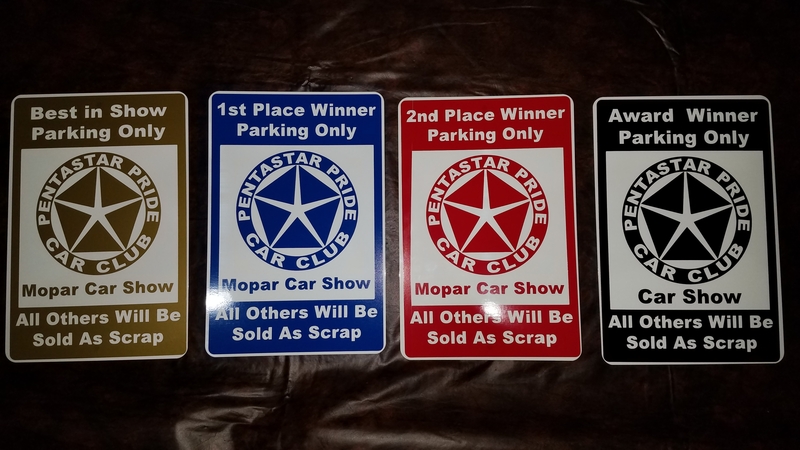 The black "Award Winner" signs will go to non-Mopars and there will only be one award per category. The proceeds raised from the car show is going to Alzheimer's research, so I really don't mind donating the cost of materials and about half the labor. That means that the club will have that much more to donate. Nice job, they look great! Those look really great, nice job and that is awesome of the car club to do that. Hope you have a great turn out.. I miss my old car club days. we always had lots of fun. Very cool Soren. If it weren't so far I would come, with my Mopar of course.